Los Gatos’s jazz concert series enters its second decade this summer with artists young and old. Every Wednesday, the Los Gatos Music & Arts nonprofit schedules the free concert in the Town Plaza. This year’s series will highlight the work of the Gershwins. 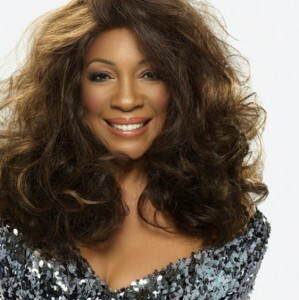 Mary Wilson, original member of the Supremes, will sing on July 24, in addition to performing at the Jazz Gala at La Estancia, a fundraiser series. Young folks get their day as well, with the best Monterey County High School performers scheduled to play on August 21. Los Gatos Music & Arts aims to support and promote these kind of young musicians most of all, last year funding 10 in-school jazz workshops and a week -long summer jazz camp. The jazz and blues vocalist is the daughter of Luis Russell, Louis Armstrong’s long-time musical director. She released her fourth album, “Strictly Romancin'” last year. A relative youngster in the jazz singer set, Loren debuted in 2006 with “Full Circle,” only 21 years old at the time. Henry’s most recent offering is a live album of 70s soul and pop classics, recorded last year at a sold-out show at Feinstein’s in New York City. A New Orleans native now residing in Oakland, Washington is known for his impressive four octave range and skillful scatting. Wilson hasn’t stopped since leaving the Supremes in ’77. Since then she’s been singing, recording, writing, and working as an activist on various social justice causes. Longtime jazz pianist Adair will be playing as part of her Beegie Adair Trio. Proulx (pronounced “proo”) is a vocalist, pianist, and Grammy award winning composer. Kent’s vocal jazz albums have gone Platinum in France and Gold in Germany. She was nominated for the Best Vocal Jazz Album Grammy in 2009. This band brings together the top high school musicians from Monterey County, directed by saxophonist Paul Lucckesi.